Taking Time to Share Great Books! Creatiting in my journals is one of my favorite things to do. The poem that I wrote describes what I love to do inside the pages of my journals. I also had some fun playing with alliteration. now hold what is dear. Today the Poetry Friday Roundup is being hosted by Heidi at My Juicy Little Universe. Be sure to stop by for lots more poetry love! Today over at Reading to the Core, the Poetry Friday round up is happening, as well the celebration of International Women's Day. The poem that I've written and am sharing today has been rattling around in my head and bubbling up in my journals for some time now. Once again I'm taking a bold step in sharing it. But I feel I need to share it with the world. You fought so hard . . .
You fought a good fight. . .
to let you go. . .
We will always love you . . .
and miss you so . . .
Today I'm sharing a poem that I finally wrote. It's been rattling around in my head for some time. Watching kids sssenble a puzzle that had a piece missing and looking at a single word that I had scribbled on a sticky note, led to this poem. Head on over to the Poetry Friday Celebration that is being hosted at Teacher Dance. I'm Celebrating this Past Week! 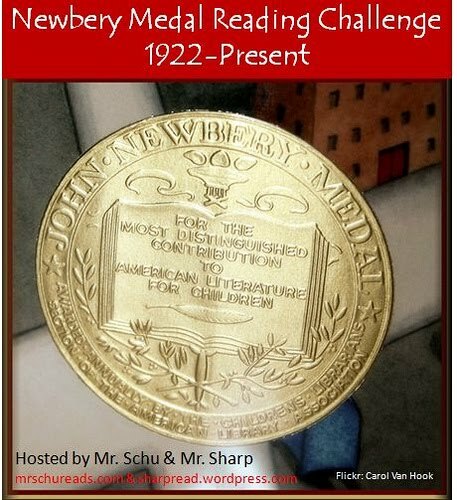 Writer and educator, Ruth Ayers at https://ruthayreswrites.com/celebrate-link-up/ created Celebrate This Week, a community of writers that write about their week’s celebrations, whether ordinary or extraordinary. I decided to gather some of my celebrations from this past week here, today. Each Friday, not only on my blog, but at school, I like to take the time to celebrate poetry. I share a “Poetry Break!” with the entire school, by reading a poem on the morning announcements. Yesterday, to wrap up Random Acts of Kindness Week, I read Eileen Spinelli’s “How to Love Your Little Corner of the World.” It’s one of my favorite poems. It's one I've copied into my Poetry Journal and created a collage for. It was appreciated by many staff members as well as some students who commented that they liked the poem that I shared on the announcements. I love that I can reach the whole school by sharing a “Poetry Break!” on the announcements! It's a great way to begin our day. A second celebration around poetry also occurred yesterday. I call each Friday, Poetry Friday and share poetry with my Book Clubs (also known as my reading intervention groups). I read aloud poetry, have s collection of poetry books for students to peruse, give out poems to read and sometimes illustrate with a sketch, and many other activities that involve poetry. Students love Poetry Friday in my Book Clubs! I know this because they tell me so each week. As a matter of fact, yesterday, one of my fourth grade boys commented, “Why do we only get to have Poetry Friday? Why not Poetry all the time?” My response was that we also had many books that we would be reading. Another student replied, “Yeah, we should have Poetry Friday and Poetry Monday!” I thought about how excited these kids were to have time built into their day to spend with poems. I decided that I will add poetry into each day that I see my Book Clubs. After all it takes a minute or less to read aloud a poem. I'm so excited that after applying for a scholarship, I won! The scholarship will allow me the opportunity to attend the New York State Library Association’s annual Conference! I've not yet been able to attend one. So this May I'll be attending the NYLA SSL Annual Conference! Here's a link to the list of amazing speakers https://sites.google.com/view/nyla-ssl2019/home. I love learning from authors, educators, and other speakers! I also submitted a proposal to present at the conference. I'm still waiting to find out if it was accepted. New and Improved Reader and Writer! To wrap up my celebrations for this week, I'll add that I signed up for two writing courses through SUNY Broome’s Continuing Education program. I can't wait to participate in them! 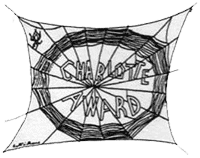 I've also been in touch with a couple of authors regarding the NYSRA Charlotte Book Award and not only considering their books for the Ballots but also to set up interviews that I'll feature here. I feel as though each day I come closer and closer to the reader and writer that I once was. Not only do I feel that I am nearer to her, but I feel as if I am a new and improved improved reader and writer. I'm a better version of each because all my experiences from the last few years have had a tremendous impact on my growth and learning. I'd like to begin today by saying a very special thank you to the Poetry Friday community of readers and writers. You have welcomed me and my poetry and applauded my bravery. I'm so glad that I chose to be Brave and share my writing. I've loved your feedback and support. Today's Poetry Friday host is Robyn from Life on the Deckle Edge Please stop over to find lots more poetry love. I adore the moon and watching it change each night. In anticipation of Tuesday's Super Snow Moon, I wrote this poem . . .
Of all that can be. Today I am being Brave once more, as I am sharing my own poetry here for today’s Poetry Friday celebration. can I begin something fresh? can I go ahead once more? that I've traveled so often? Poetry Friday is being hosted by children's author, Laura Purdie Salas. Click on her name to visit her site for lots of poetry posts. Recently as I hunted through various booths at an antique/thrift store, I stumbled upon a Mother Goose Cookie Jar. It was labeled at an irresistible price! I had to bring her home! Now she sits proudly on my countertop, where she is a constant reminder to me, of the joys of sharing traditional rhymes with children. I've shared nursery rhymes with my preschool classes when I taught Head Start children years ago. I recited them and sang them to my own babies as they grew into preschool and then school aged children. And now I've been sharing them with young children, first as a reading specialist and now as an elementary school librarian. Nursery rhymes were such a big part of our daily lives and routines for my own girls. We recited, “Rub-a-Dub-Dub” when it was bathtime, “”Jack and Jill” as they ran up and rolled down a small hill in their grandparents front yard. Taste-tested peas and honey from a knife, as we ate peas for dinner and recited, “I Eat my Peas with Honey.”. And I was told by my late husband, John, that I was the cause of my older daughter's fear of spiders because we acted out “Little Miss Muffet!” (I'm not convinced of this, though Sienna did burst into tears when we were frightened by the spider!). Integrating nursery rhymes into our lives was so natural, as they lend themselves to so many childhood routines. As a former early childhood education student, and then teacher, it was natural for me to understand the value of integrating these childhood rhymes into my babies’ lives. It was amazing and beautiful to watch as John seemlessly did the same with our girls. He so enjoyed finding opportunities to recite with the girls as he dressed them and recited, “One Two Buckle My Shoe,” or played “Ring Around the Rosie,” as he held their hands and danced around the living room. What precious bonding time these simple nursery rhymes offered our family. Now they remain, just as precious in our memories. Not just memories of days gone by, but memories of a mom who is still here as a mom to two teenagers, but also as a memory of a dad that is no longer with them Memories of their dad that has passed away but a dad who has left his children with beautiful, yet simple memories. All of this has come from the simplicity of a cookie jar that was happily discovered as a treasure from the antique/thrift store. What memories are you making today? What simple objects hold a memory of the past? What treasures might you discover, that will bring about memories of the past? Memories that cause you to smile each time you look st your treasure. I am an Elementary School Librarian and Reading Specialist. 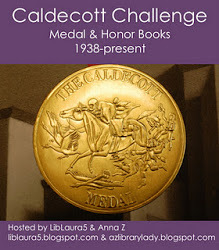 I write reviews for School Library Connection (SLC) and I serve on the New York State Reading Association's Charlotte Book Award Committee. 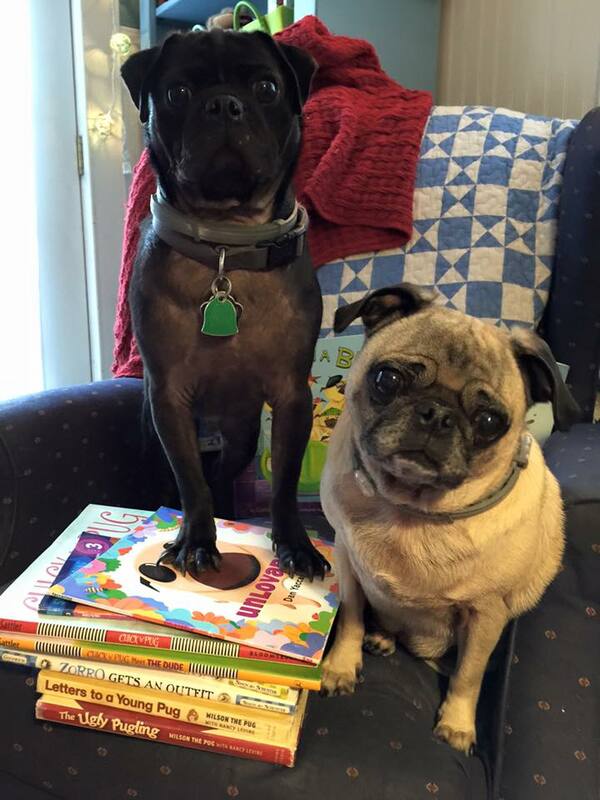 Mrs. Merrill's pugs, Mr. Wrinkles & Miley, LOVE books and reading! Who Is Hosting the Poetry Friday Roundup?